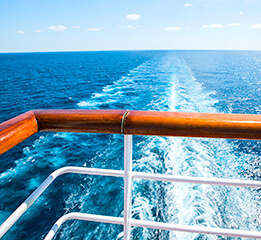 Due to the development of fibers and fiber ropes of increasingly higher quality, synthetic ropes can be used in more and more industrial applications, where they replace steel wire ropes, chains and similar devices. 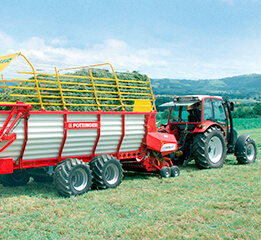 Even for completely new applications, TEUFELBERGER has the right fiber rope for you. Depending on what you need, we use different raw materials and raw material combinations to manufacture a suitable product for your specific application - with or without protective cover. 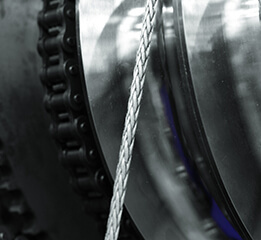 Whether you require maximum breaking forces and reverse bending fatigue strength, ultimate resistance to temperature and abrasion, or minimal stretch - TEUFELBERGER develops and manufactures a fiber rope that best suits your needs. The optimized coatings we mix according to specific recipes ensure that our fiber ropes deliver supreme performance and that you can fully rely on their quality. If you don’t find the right fiber rope among our existing products, don’t hesitate to contact us. We’ll develop it for you (or together with you) and deliver the perfect technical solution for your application. Our ropes weigh 7 times less than steel wire ropes. 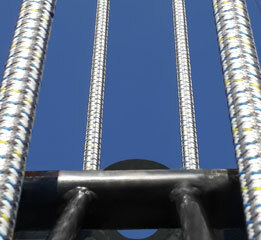 We offer highest breaking forces, comparable to those of a steel wire rope of the same diameter. 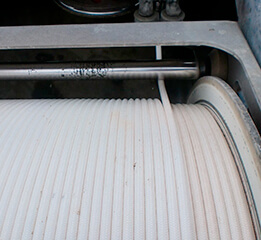 Fiber ropes are not subject to corrosion or soiling caused by rope grease. Our synthetic ropes are no source of injury. 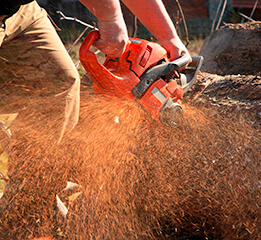 The ropes are characterized by quick and easy handling, thus allowing the user to work ergonomically. We are flexible in terms of the design and offer a great variety of colors as requested. Various ways of customization and rope end terminations are available. 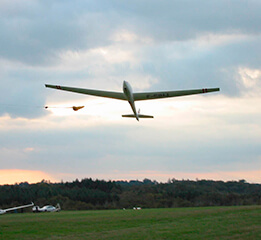 The kinetic energy released on rope damage is considerably lower than in case of steel wire ropes. 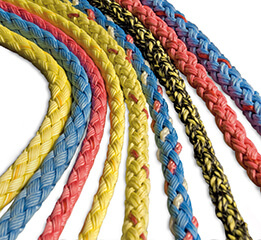 Our ropes are resistant to seawater, oil, dirt and UV light. A great number of rope end terminations is available to ensure the ideal connection to the attachment point. If you have any questions, don’t hesitate to contact us!